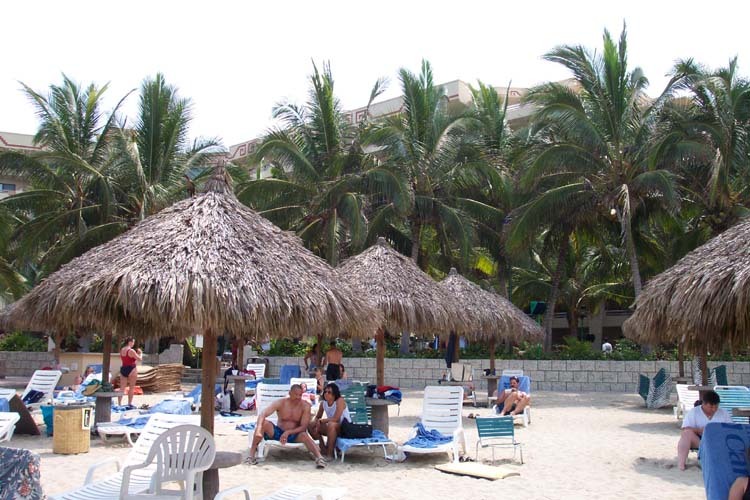 The cabanas on the beach. 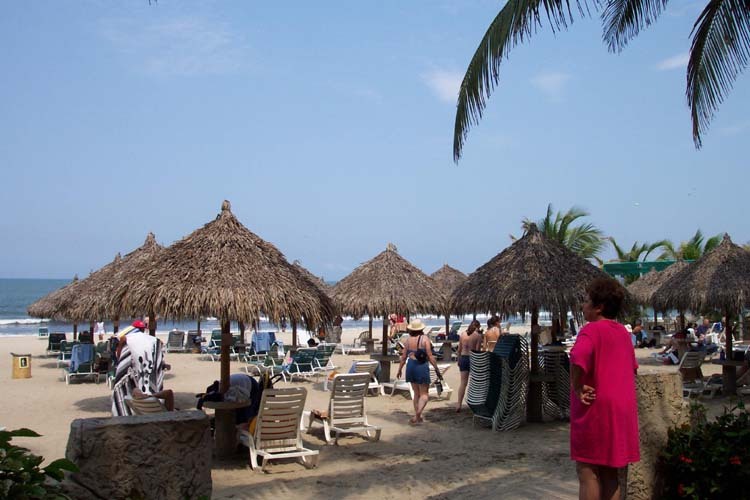 The view from the beach, back towards the spa. 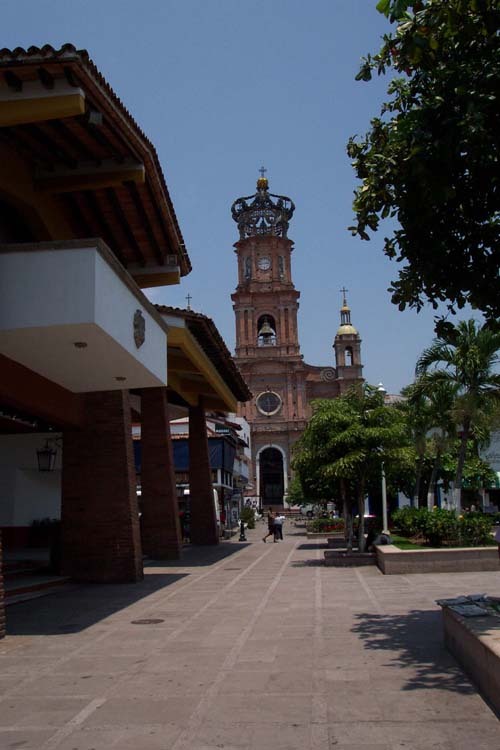 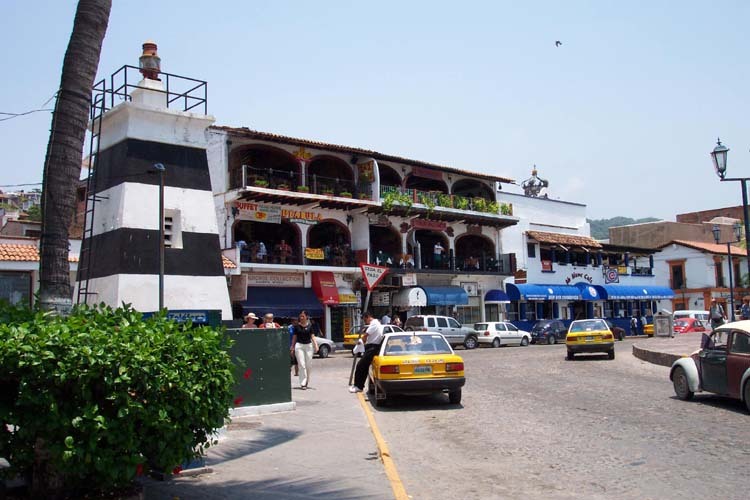 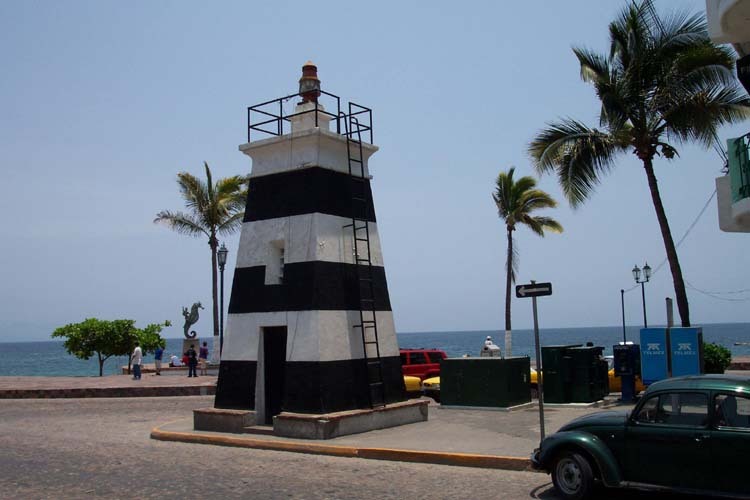 The Lighthouse in downtown Puerto Vallarta. 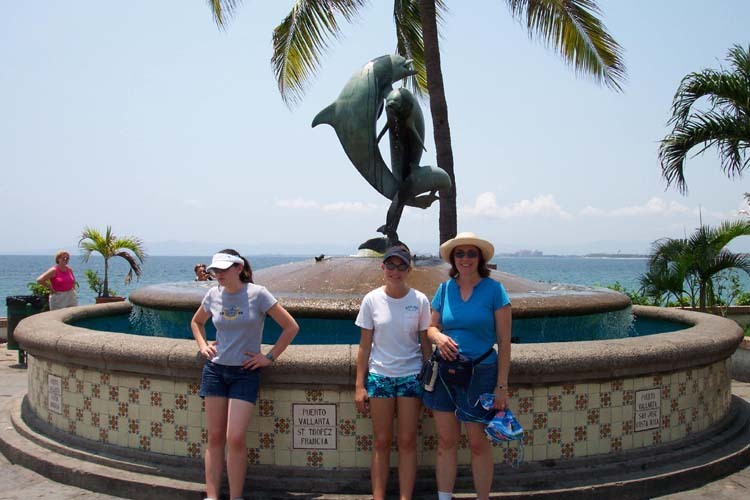 Cindy, Jenni and Theresa in front of the Dolphin Fountain. 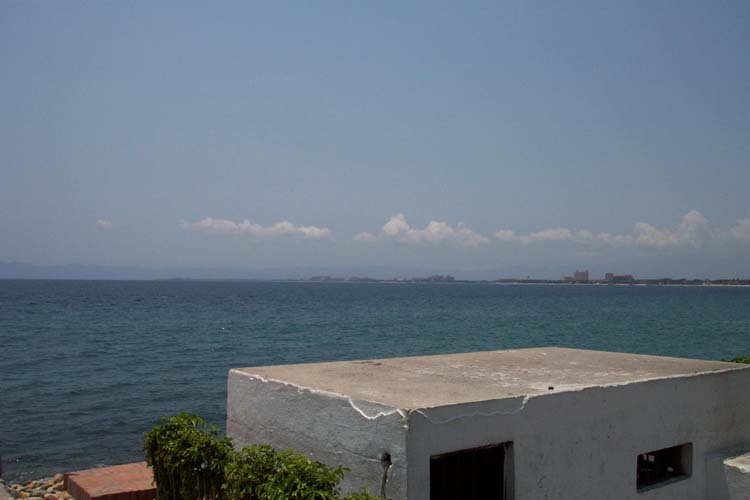 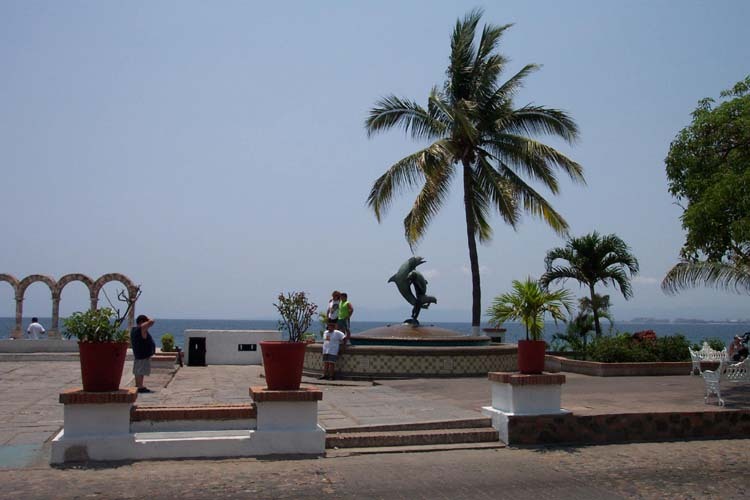 View of the Puerto Vallarta harbor.